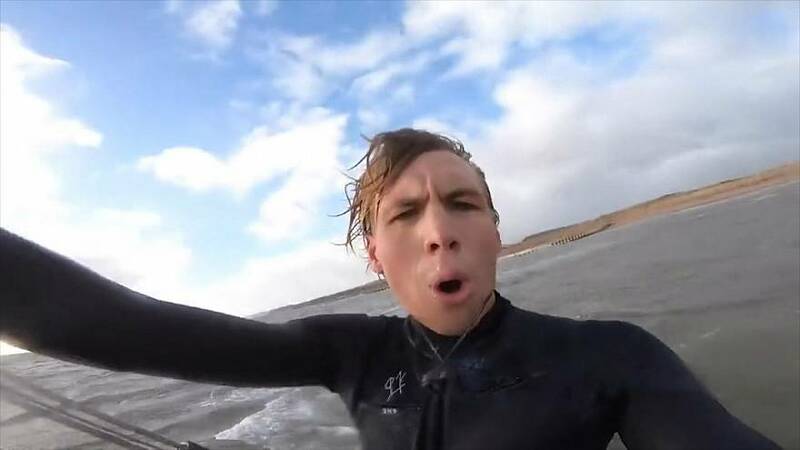 British professional kite surfer Olly Bridge performed an incredible 200-metre jump across a sandspit in England. Bridge, 21, executed the staggering stunt in Dawlish, Devon, in southwest England. A video he posted on social media show him leaping across the sand spit separating the River Exe and the English Channel, staying in the air for about 10 seconds. He said on Facebook that he had "been wanting to do this jump for a while now" and that he was "stoked to finally get the wind to do it." Bridge, a three-time European kite surfing champion, believes the jump is the first of its kind.